Hurray for jeans! We’ve had a phenomenal response to the Cashmerette Ames Jeans – in fact, it’s been our biggest launch ever by far, so a huge thank you to everyone who ordered! 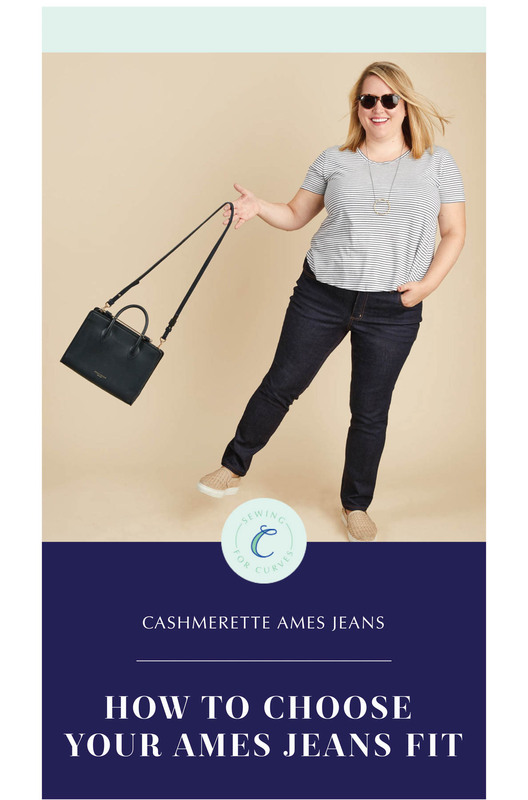 What makes the Cashmerette Ames Jeans unique is our fit approach, so today I wanted to help you choose your Ames Jeans fit. 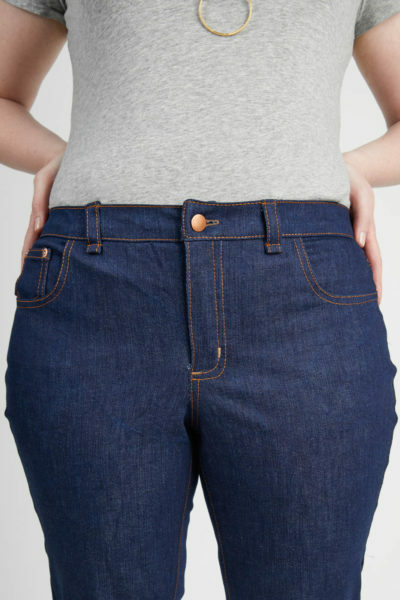 The Cashmerette Ames Jeans have interchangeable pelvis (apple or pear) and leg (skinny or straight) pieces. 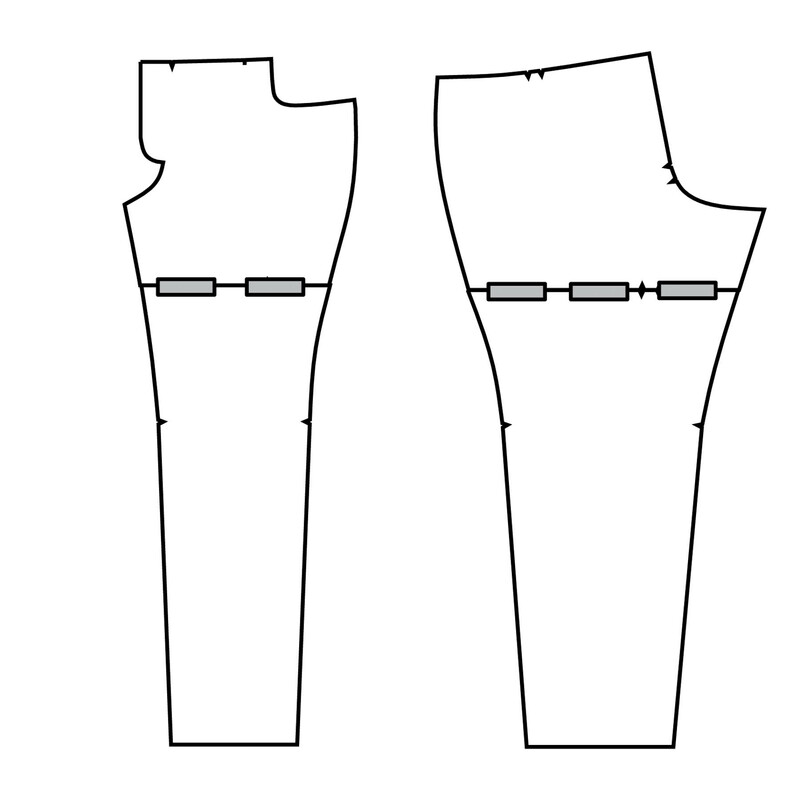 That means that the pattern pieces (both on the PDF and Printed pattern) look a little bit different to usual: the pelvis and leg pieces are separate, and you need to tape them together before you cut your fabric. 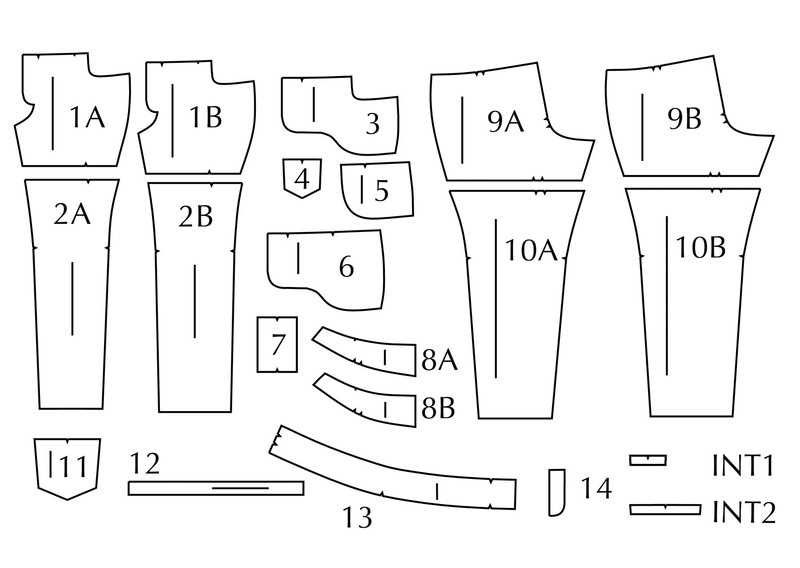 Here’s what the pieces look like: 1A/9A are the Apple Pelvis, and 1B/9B are the Pear Pelvis; 2A/10A are the skinny legs, and 2B/10B are the straight legs; 8A is the Apple Yoke, and 8B is the Pear Yoke. Any combination works, so just pick your duo and tape them together. (Also: I know that shrunk down in this diagram, the pieces don’t look radically different, but believe me, at full scale, the different curves and proportions make a big difference!). Choosing your leg fit is pretty straightforward: it’s partly style, partly your leg size. 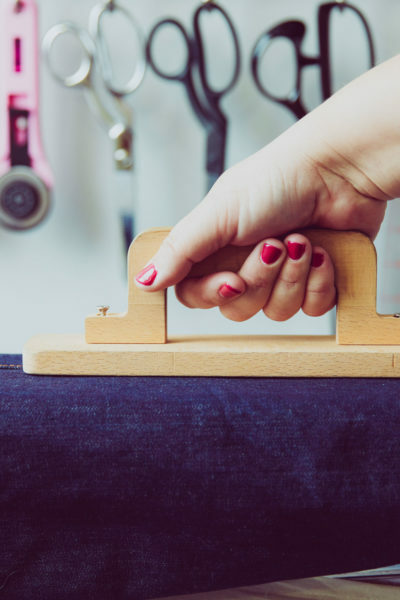 The finished garment measurement table includes thigh, knee and calf measurements, so you can use that to help choose how much ease you’d like to have in your jeans legs. Choose the Skinny legs if you prefer a tighter fitting leg, and/or you have proportionately smaller legs. Choose the Straight legs, if you prefer a bit more ease in your leg, and/or you have proportionately larger legs. The final fit will depend on the size of your legs: if you have larger legs, the Straight leg may look skinny on you; alternatively, if you have very small legs, the Skinny might look straight! Now, on to the pelvis fit! The taxonomy of apple vs. pear can be a bit confusing, because ultimately, none of us are fruit. But given we can’t make custom fit patterns for everyone, it seemed to be helpful way to create two different fits. Of course, you may still need to grade between sizes and make adjustments, but we found that our testers had much better luck starting off with their pelvis fit, than a standard “one size fits all” pattern. 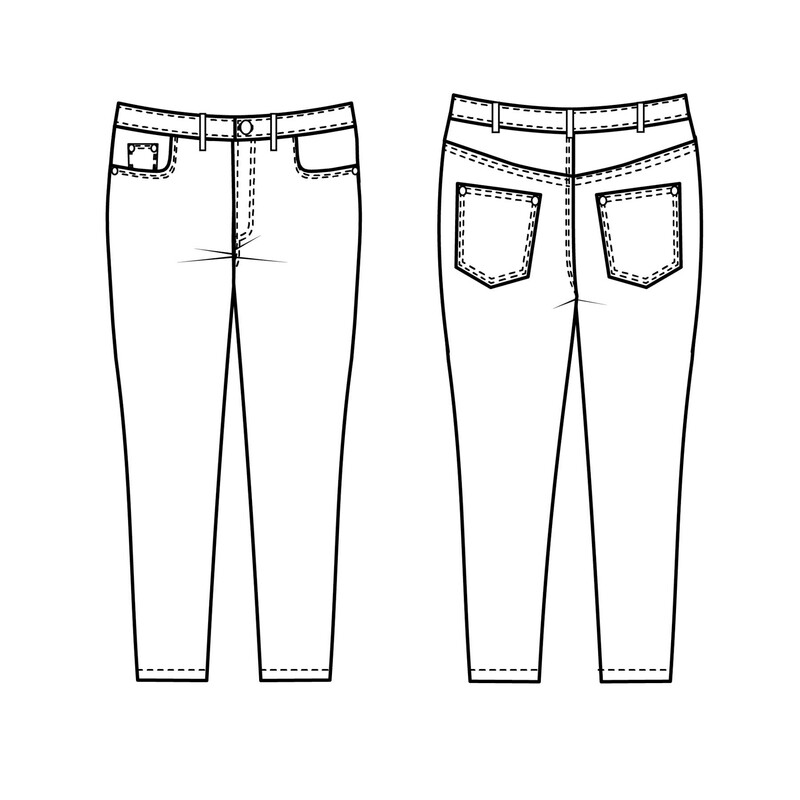 Typically, you find jeans waistbands are constricting, and the back bum/thigh area is a bit baggy. Typically, jeans waistbands cut in when the pants fit your hips. You have a low hip:waist ratio – under 10″ difference. Here’s what the apple pelvis jeans look like as a result. The hip is 6 inches larger than the waist, though that assumes there will be negative ease in the hip. If you’re more of an apple shape than that, fear not! 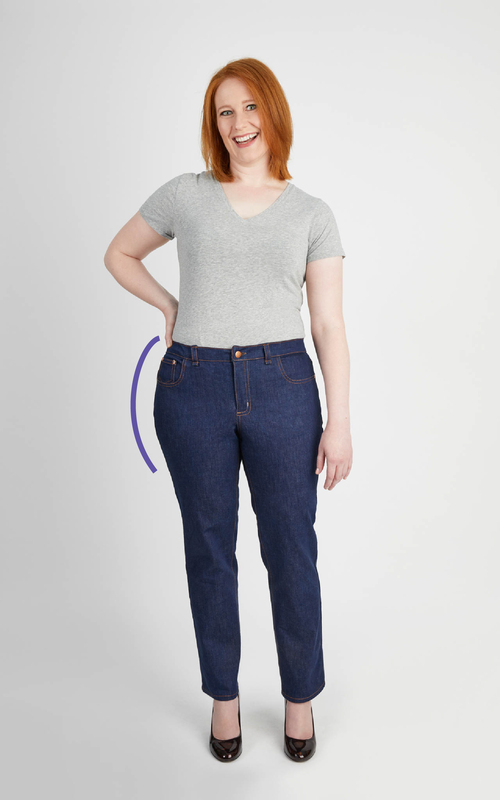 You can easily grade between sizes at the waist and the hip. Typically, you find jeans waistbands gape at the back, but are tight through the hips. Conversely, when jeans fit you in the hips, the waistband is much too big. You have a high hip:waist ratio – over 10″ difference. Here’s what the pear fit jeans look like as a result. The hip shape, back seam shape and yoke shape are all different, and there is more room through the hips. Help! I can’t work out which one I am! It’s always a good idea to make a muslin first! And remember to baste your side seams before you do final stitching/top-stitching, so you will have time to make adjustments. Grading between sizes is always an option, so don’t worry if you’re “more of an apple” or “more of a pear” than the jeans are designed for. If you make the pear shape pelvis, you can always take it in at the hips later when you baste. If the existing Cashmerette waist/hip ratio usually works for you, the apple is likely to fit you best. If you have a full tummy and full bum, I’d go for the pear shape, as most of the difference between the two fits is in the sides and back. 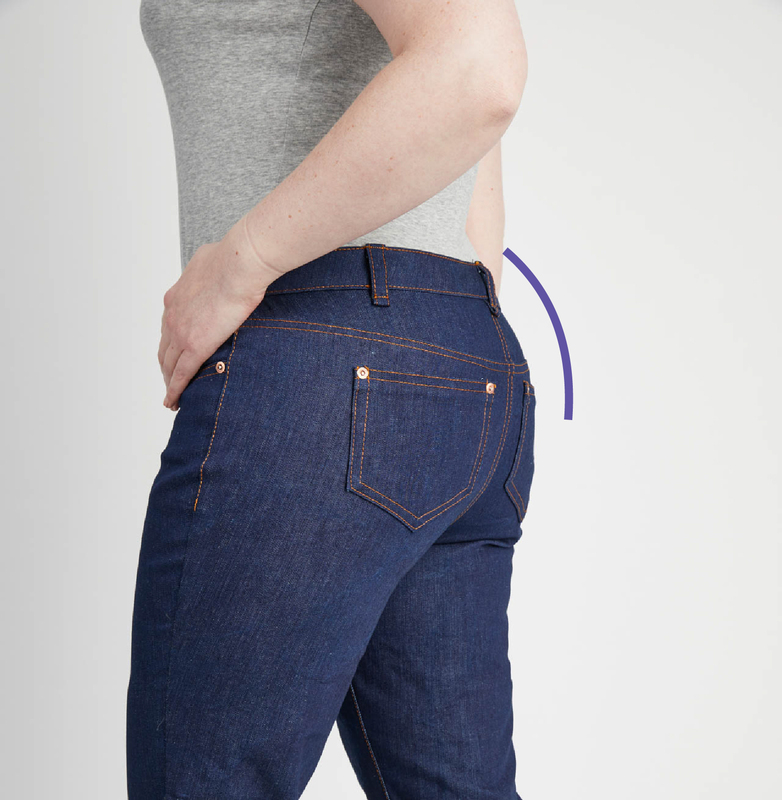 The pocket stay and high rise will help you get a good fit in the front (and the jeans were designed assuming that no-one has a flat stomach!). If you’re an hourglass with a defined waist, then you’re probably going to be the pear. Remember, most of us have to make some adjustments to most patterns! Pick a fit as a good starting point, but you’ll likely have to make further changes, so don’t get too worried about having a perfect fit straight from the packet. I hope this helped you choose your Ames Jeans fit, and I can’t wait to see your jeans. 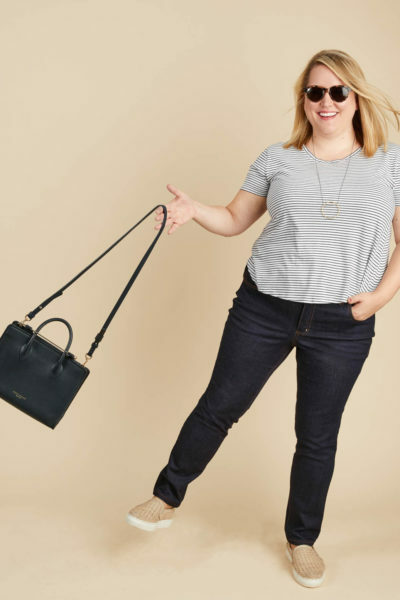 Introducing the Cashmerette Ames Jeans sewing pattern! 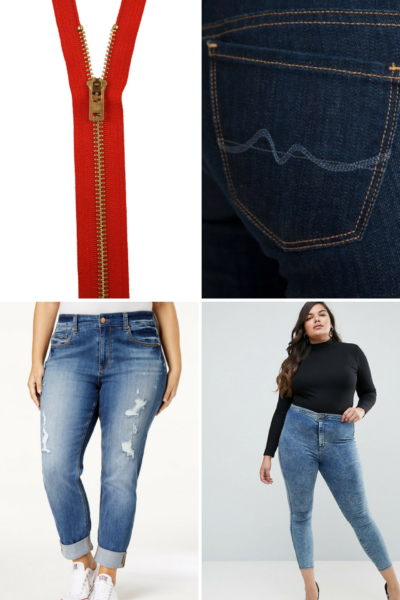 Jeans Sewing Supplies and Notions: Get Ready to Make your Ames Jeans! This. This is why I love your work, Jenny and the Cashmerette team. Honestly, I wasn’t going to buy the Ames pattern–I have the Ginger pattern (though the muslin needs a bunch of tweaks), and I only wear boot-cut styles. This sharing and explanation, however, has convinced me otherwise. I feel like you get me! Hi Jenny, I have a full belly with straight hips, so I was thinking I’ll try the apple pelvis. However, I do have a round bum too. What would you suggest? Apple, with full bum adjustment? Any way to know how big of a wedge I might need to add? I’d recommend making the pear, and you can always shave off the hip side seams if necessary! I just bought the pattern and I’m so excited to try it. 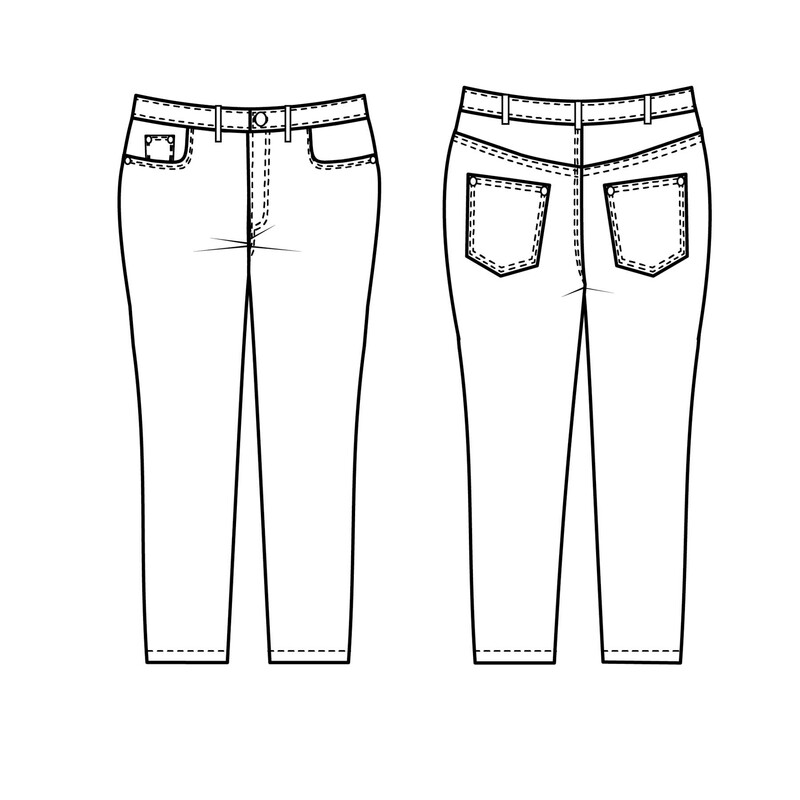 I have tried to make jeans before and I have to make so many adjustments I have never perfected a pattern yet. I think the pear shape will give me a good head start. Hi Jenny, I received my fabric package and hopefully, will have time over the holidays to make a muslin. How much stretch is there to jeans fabric? I’m finally ready to start my Ames Jeans! I’m just now second guessing the sizing though as I seem to have “expanded” some in the last few months. My biggest question at the moment, is: How much negative ease should I assume is in the hip area? My high hip (Belly area) is 2 inches larger than my hips and my hips are a whopping 4 inches larger than my waist. My plan, at present, is to draft a slightly larger than size 26 waist and taper to a 24 hip. Should I go smaller for the hip? I’m not used to second guessing myself when sewing, but it has been a very long time since I made pants for myself. I am a 42 hip and a 30 waist – gah! Still too pear shaped!